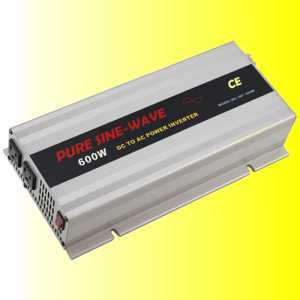 Inexpensive inverter rated at 75 Watts continuous, 150 Watts Surge. This small 75 watt inverter was designed to run ink jet printers, video recorders, recharge small portable telephones and run most low power equipment. It is designed to be the lowest possible cost, while maintaining reliability and efficiency. It uses a cigarette lighter power point plug for ease of use. NOTE: The Inverters below have a minimum order 200 pieces. Samples available. For retail sales of inverters, click on the above link. Prices based on quantity quoted, other quantities quoted on request. Prices subject to change, Terms cash with order, FOB Factory. Other terms quoted upon request. Output voltage regulation ±5%Typical / ±8% max. Standby Current 0.2A max. 0.2A max. Low cost. $9.80 in quantities of 5000. Minimum order 200 pieces. Samples available.